Founders and Survivors is an Australian Research Council-funded research project to build biographies of the approx. 70,000 convicts transported to Tasmania, and their descendants. The project is a collaboration between historians, public health scientists, and a growing number of volunteer genealogists and amateur historians. Our tools include a massive and complex XML database, and social and collaboration tools built with Drupal and Google Docs. This presentation will describe the goals and challenges of the project, the motivations behind the adoption of these tools, and their implementation. I know this is a bit of a niche interest for a Drupal conference. Good to see that you found it interesting. This talk was a bit of an underdog in that I think it appealed most to those already interested in history or with an interest in how such organisations leverage Drupal with other technologies. This set the talk apart from many other presentations. 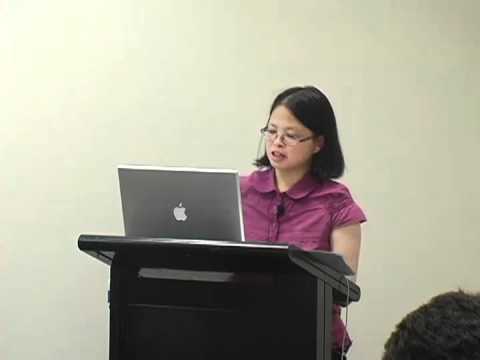 I found it very interesting and thought Claudine did a great job presenting and was clearly very knowledgable about the project, as especially seen with confident responses to a few questions. This presentation provided a really good insight into the complexity within a cultural data project where data is compiled and gathered in different ways.